Position requires a valid MED/DOR Badge from the State of Colorado. 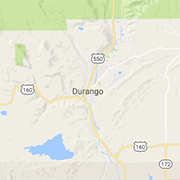 Customer service based position in an established and growing cannabis business in Durango. Evenings and weekends a must. Please drop off a resume in-person to be considered.